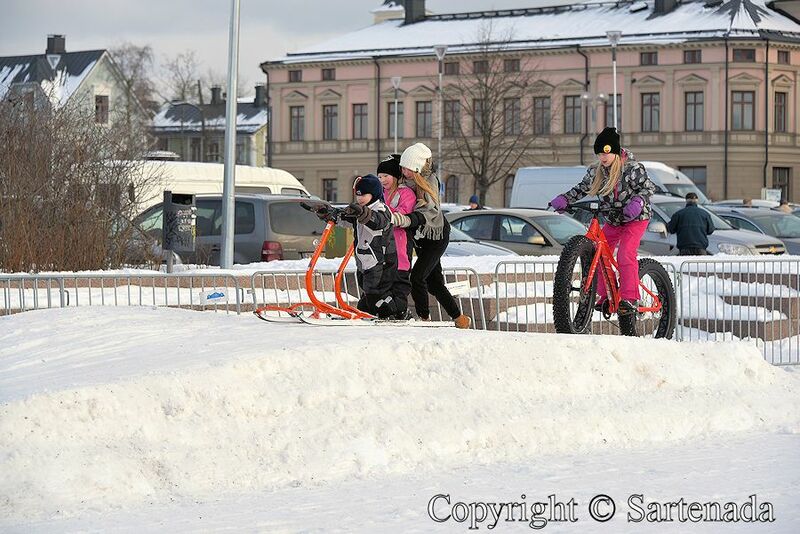 Winter fun for children in Oulu 2016 (Finland). This time I let my photos to talk. Esta vez dejé que mis fotos hablaban. Cette fois, je laisse mes photos parler. Desta vez, deixei deixo que minhas fotos falam. Reindeer driving competition / Competición de conducción de renos / Compétition de conduit de rennes / Competição da condução da rena . Ay, que niños felices! Fotos estupendas…. Muchas gracias por tus palabras, es un gran placer para mi leer tus comentarios. Yes, Children enjoyed with full heart and I guess their parents also. Thank You. 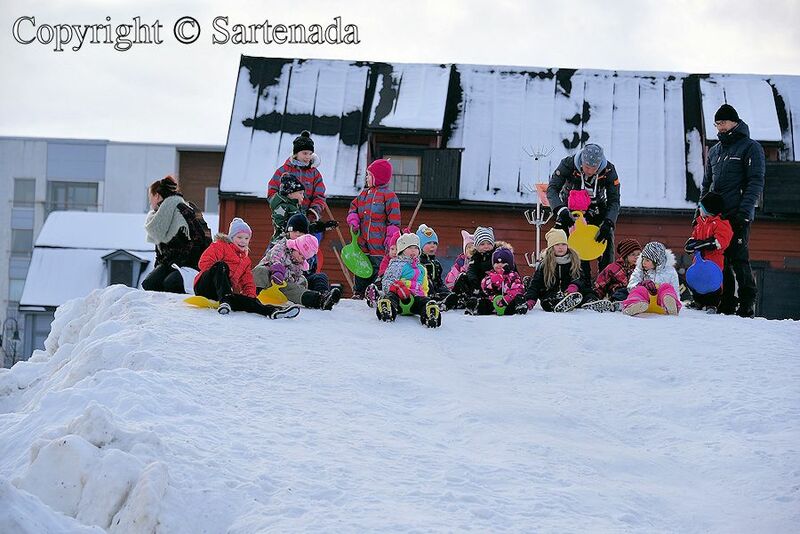 Happy children and parents. Thank you. So magical in wintry Finland! Thank you for sharing. Thank You for Your praising comment. 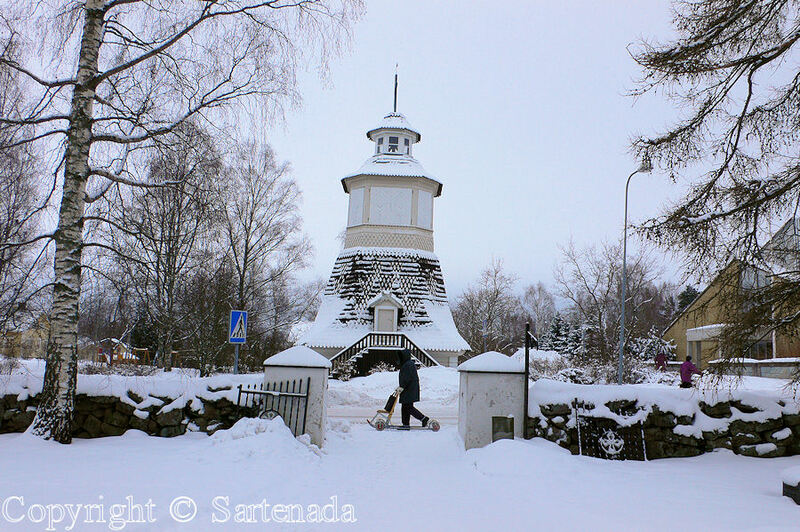 I am glad that You loved wintry Finland photos. Tus fotos no sólo hablan sino que sonríen y tienen el color de la felicidad. Es maravilloso que compartas con nosotros estas escenas juegos en la nieve. Muchísimas gracias. Tu amable comentario fue directamente a mi corazón. Muchas gracias. Very nice to read Your comment. Thank You. We love Oulu. It is beautiful town, lovely sceneries, some great happenings, walkable and bikeable town, University garden, cozy restaurants and its marketplace in the summer is full of life. It has excellent beach (Nallikari), which we love very much. 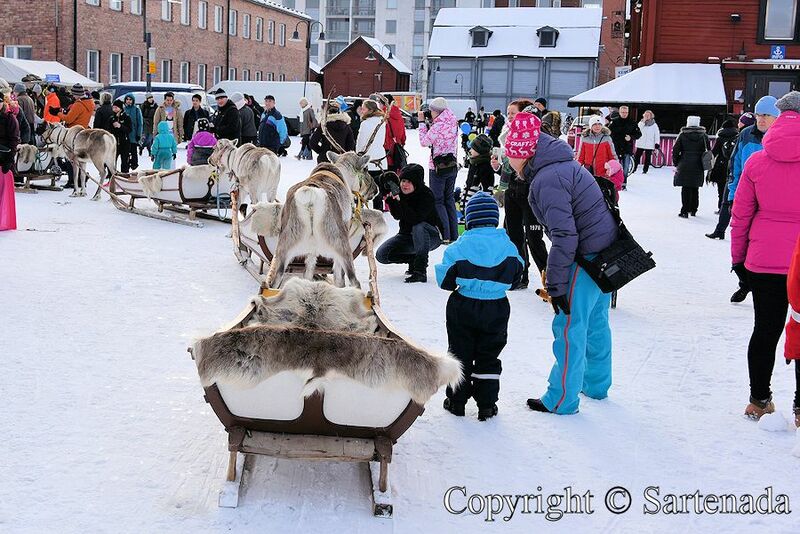 We do not live regularly in Oulu, but we live in Helsinki and visit often Oulu. 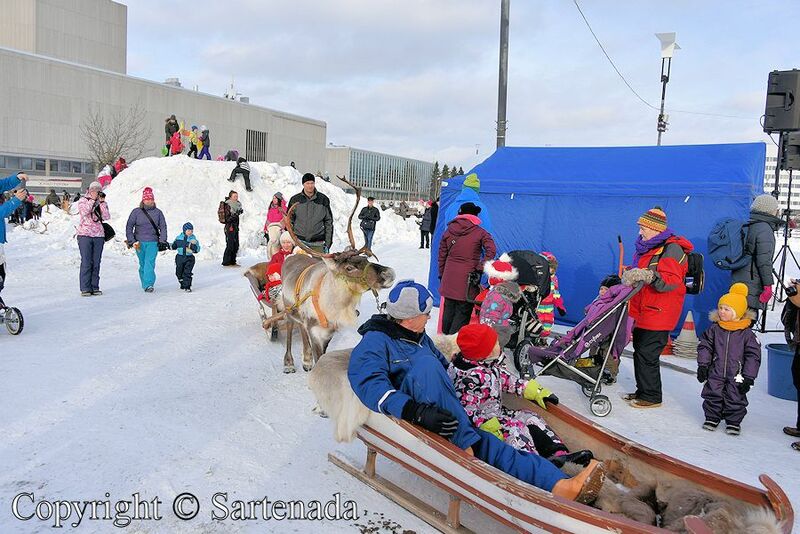 I can recommend Oulu to You and Your family. To me also. Thank You for Your visit and kind comment. Oh, those happy, rosy faces! 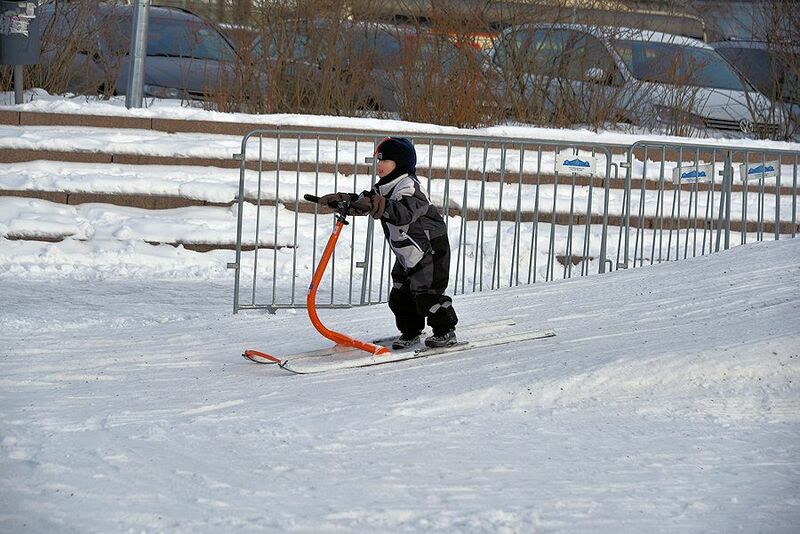 This looks like fun for any age, really! So kind comment. Thank You. It is always a great joy to see happy kids. Wonderful fun photos! 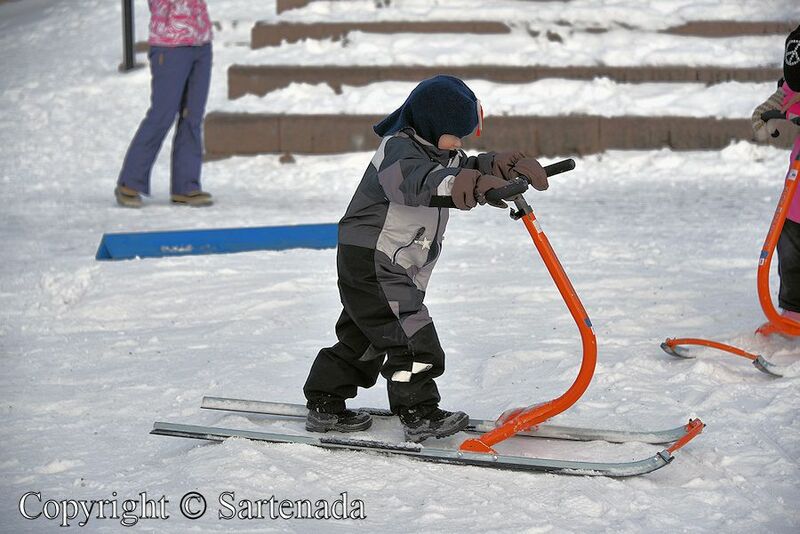 I have never seen the double ski thing with handle bars. 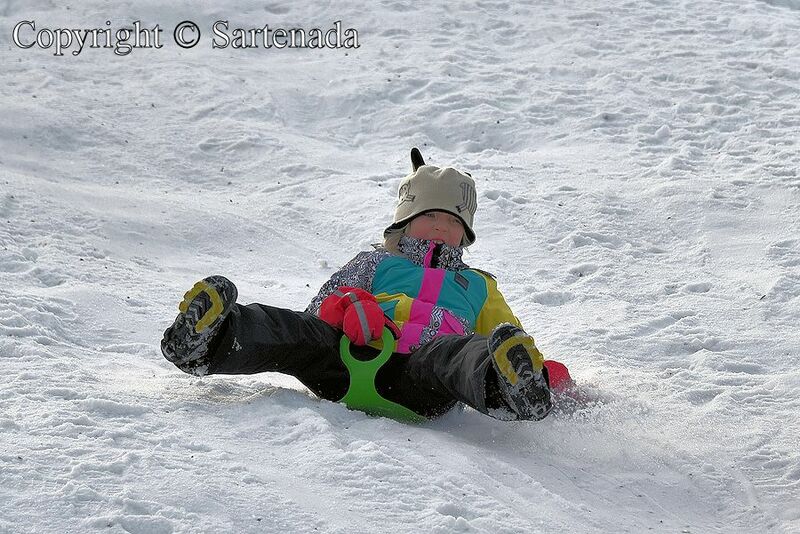 I love the expressions of the kids sliding on the one piece of plastic! Watching them makes everyone smile. Thank You commenting. Have a nice da! 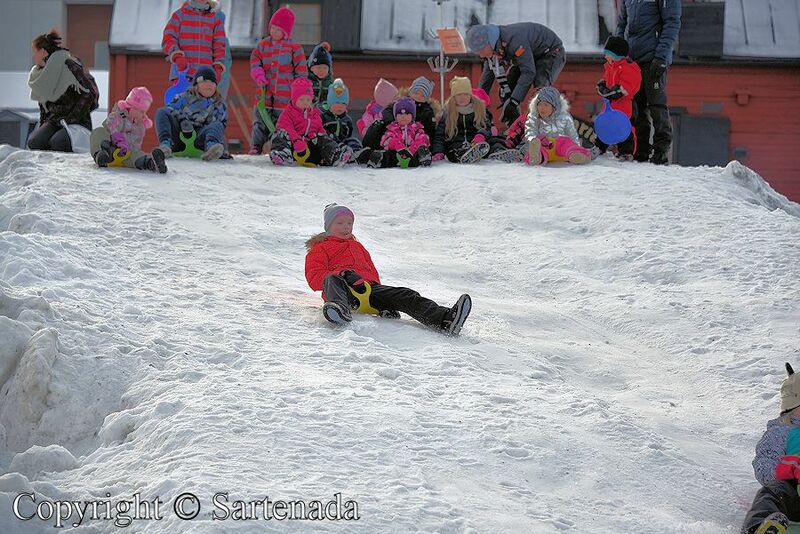 It looks as if everyone — not just the children — was having fun. Wonderful photos. 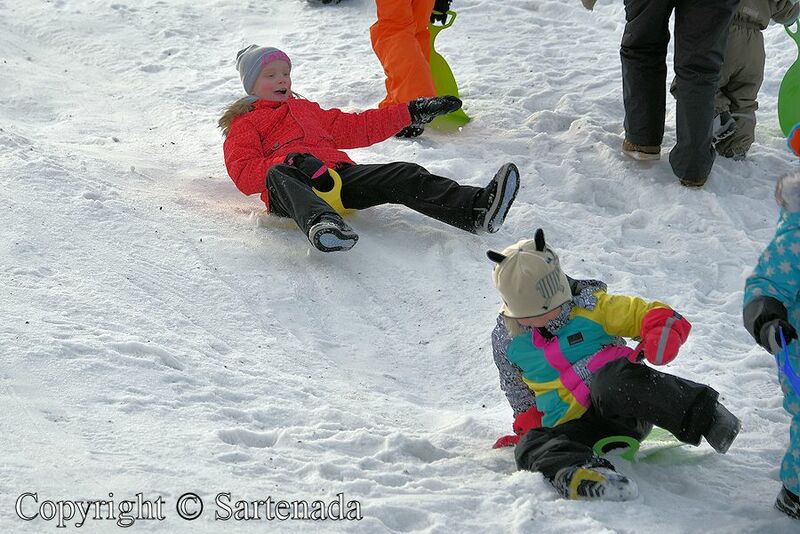 When children have fun, parents are happy also. Thank You. Have a nice day, Matti. Thank You leaving Your kind comment. 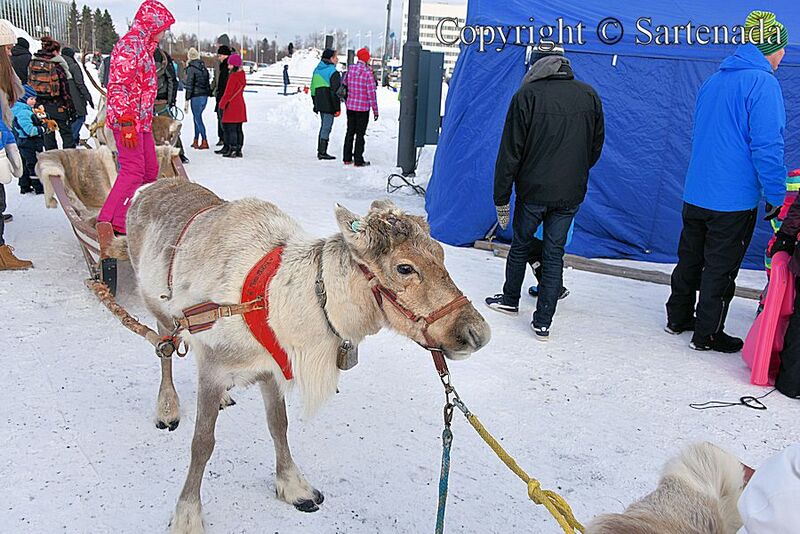 To me who lives in Finland, it was awesome to see reindeers in the “south”, because Oulu is in the middle of Finland. Nobody has ever told to us. 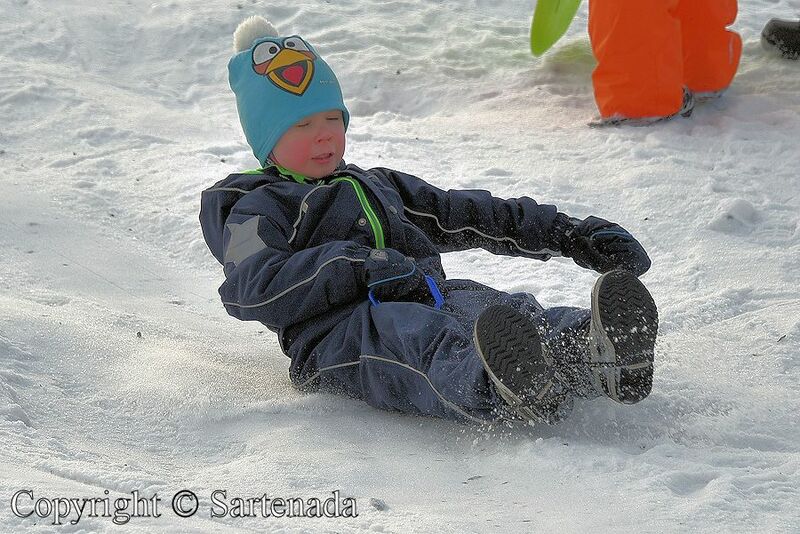 Children certainly do enjoy winter activities! It’s nice to see them doing it! You are right. 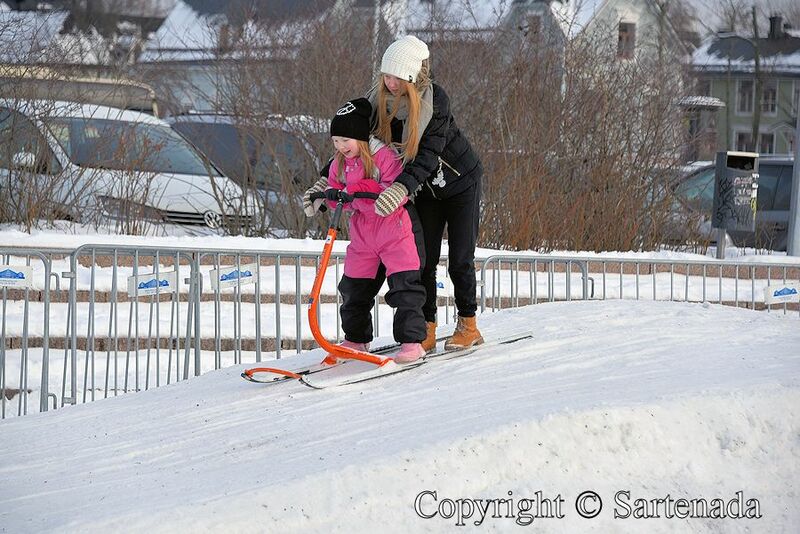 It is great that winter do not cut off hobbies and activities. Thank You. Ils sont heureux ces bout de chous dans la neige. Les rennes sont magnifiques. Très belles photos. Thank You for Your kind comment. Best time to visit Lapland is in autumn due to its colorful landscapes and in winter to find and experience Winter Wonderland. These are my personal opinions. Indeed autumn time looks stunning in Lappland! 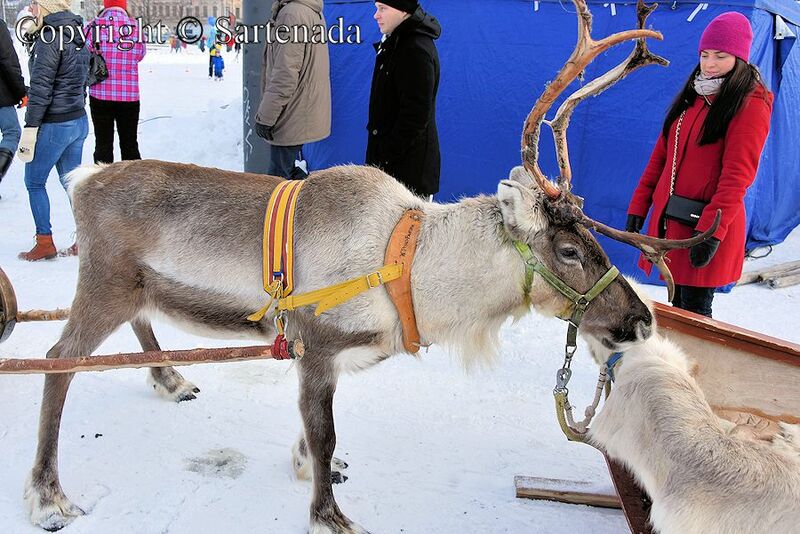 The one which I want to get on the sled of the reindeer, and there is not in sled Japan of the ski is worthless. Always think, but is colorful, and the Finnish jacket is very wonderful; a design is at all Kool! Thank You very much Your kind comment. I am glad that You loved my post. Oh, I want to be a child again! You said it so well. 🙂 Thank You. Children looks happy. 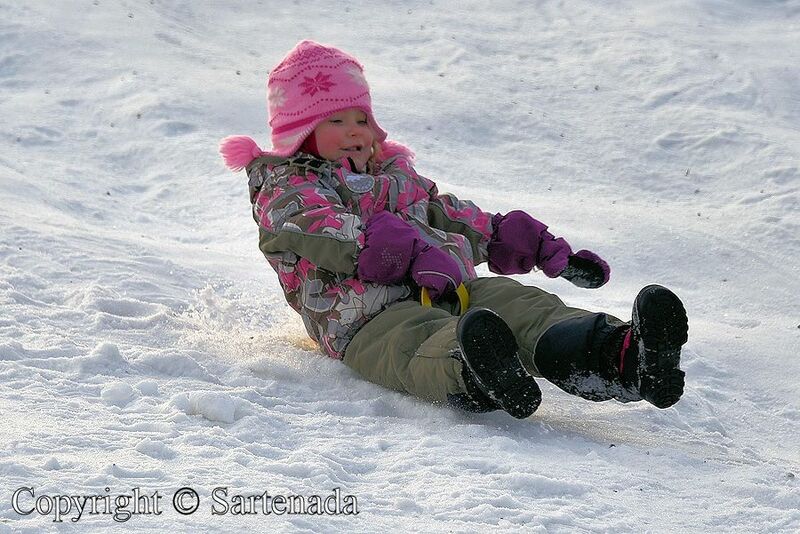 When I was a child I made sled by myself and played. 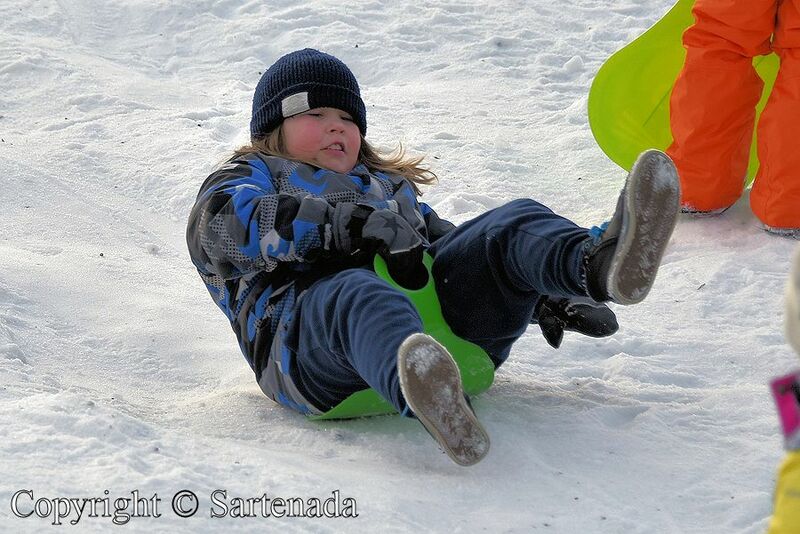 Wow, You made sled Yourself. Thank You commenting nicely. Lindas as fotos!!!! 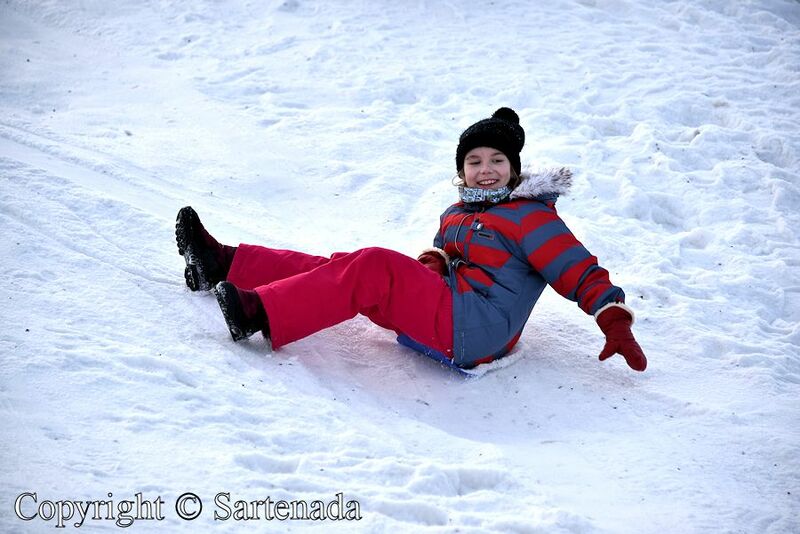 Elas me inspiraram a sair e a brincar na neve com eu filho!!! Obrigada por mostrar nas suas fotos essa magia que muitas vezes é difícil de enxergar com a correria do dia a dia! A Finlândia vista por suas lentes é simplesmente cheia de encantos! Tudo bem Roberta? Fico feliz que você gostou das minhas fotos! Obrigado. 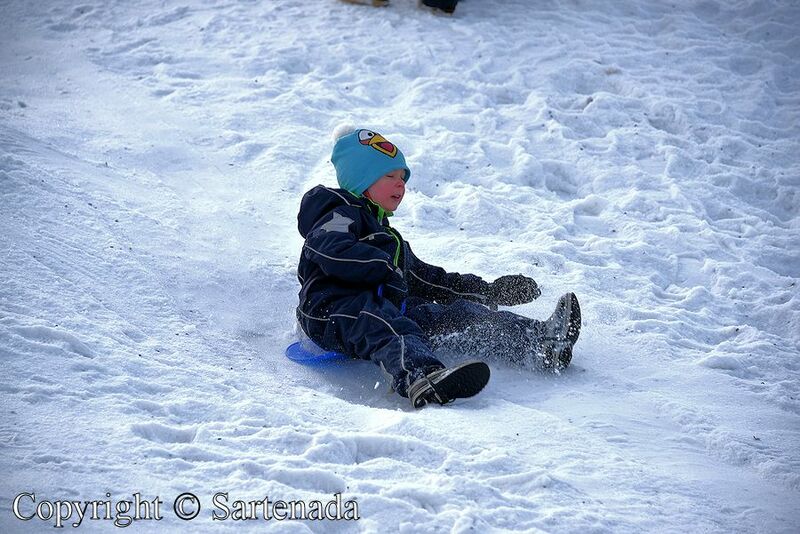 Eu desejo que você tenha o grande divertimento do inverno com seu filho. O inverno é o tempo fantástico também, não só o verão. 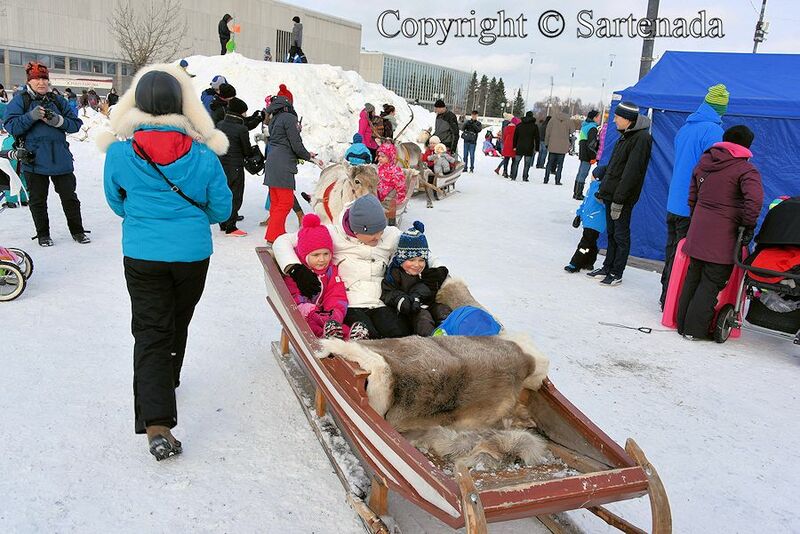 So much of this look like Canada except the reindeer pulling the little sleds! That is fabulous. which open for everyone. This maybe unique in the whole world. Let us hope that I will catch some nice photos. 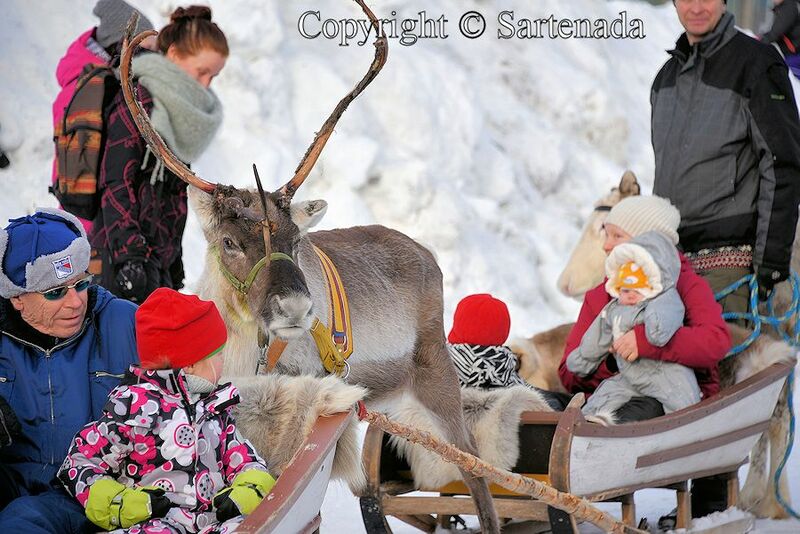 A reindeer driving competition? That sounds amazing! Would love to see it. Hi, Sue. 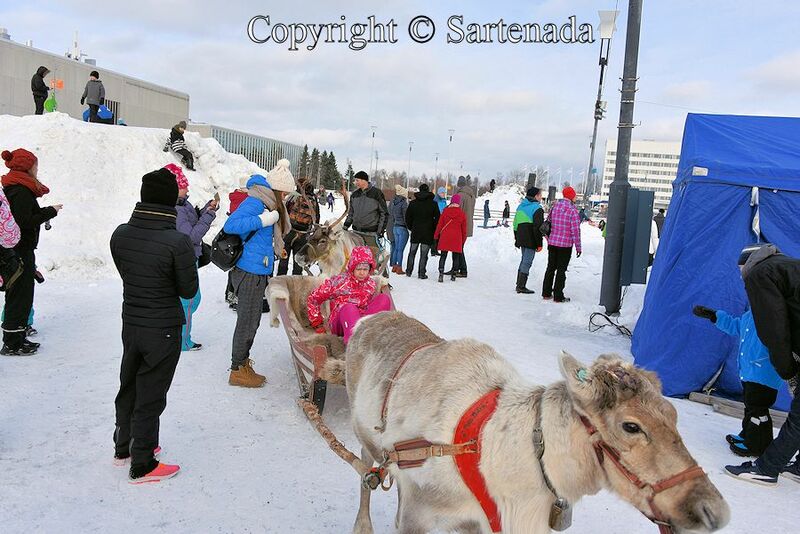 This year’s reindeer race (open for everyone) was yesterday. 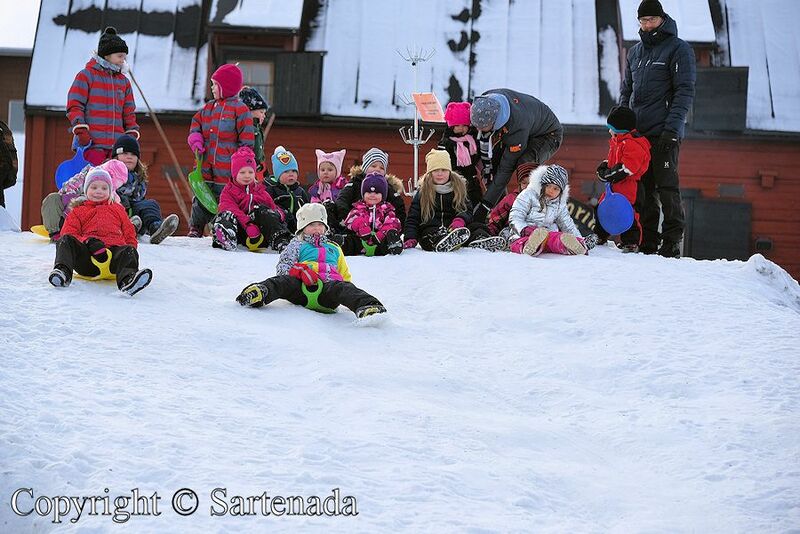 It was cool race with great fun and I try to make my post about it, maybe on next week’s Wednesday, I will publish it. I said to my wife that next year I will participate in it and she has to shoot photos. 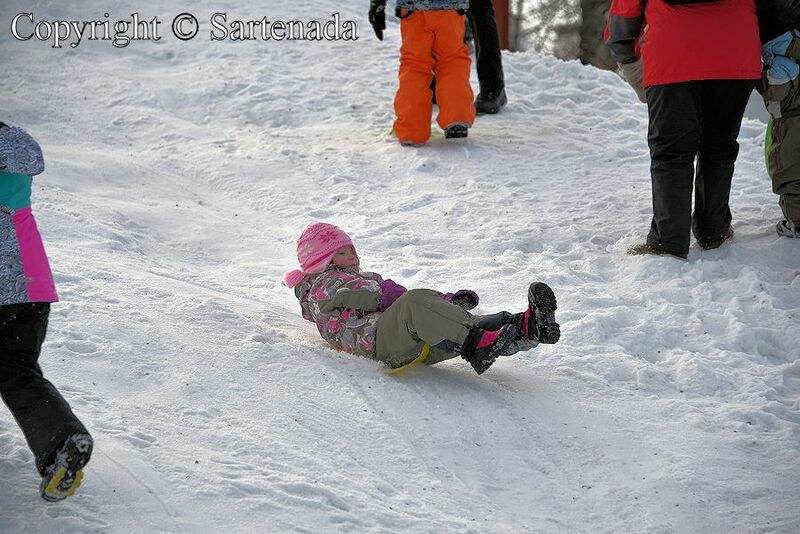 It would be cool if You next year would visit it in Oulu and at the same visit also Snow Castle and the Arctic Circle. There are many interesting places in Lapland to explore. I can present to You ideas for Your visit. If You are really interested to see this race or even to participate in, then tell to me, that I can tell to You more exactly when next race will be. Normally it will be on next Saturday after mid-February. See You in Oulu in next February? So kind of you to offer to give us the information on a visit to Lapland! It definitely would be fun to see. I’m not sure what 2018 is going to bring at this point but again am so grateful for your offer. Should we get planning a trip in the future I will definitely reach out to you for suggestions. Thanks! Looks like great fun! Thanks for visiting The Glasgow Gallivanter- following you now. So kind words, which warm my heart. ありがとう. Chirdren　photos is very good. Bello il tuo commento, grazie mille! La vostra visita sul mio blog scalda il mio cuore sempre! Thank You for Your praising comment. I am glad that You loved these photos. Your kind comment warmed my heart. Thank You. Your photos show me a foreign world; a world I know through photos and documentaries and films. But never one I have experienced first hand. Thank You for Your comment. Tasmania is unknown to us, but blogs are excellent way to get information about places where bloggers live. 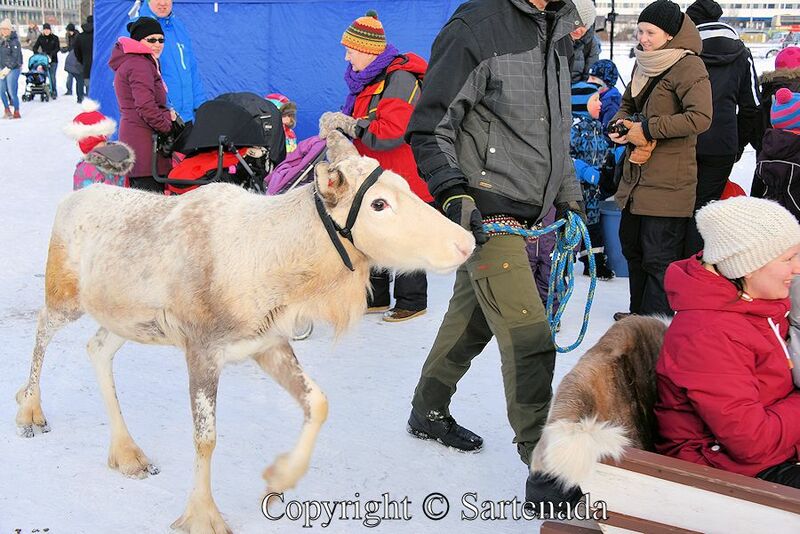 Next Wednesday I will present Reindeer race. Two years ago, I had no idea about this kind of races. Now I love them. 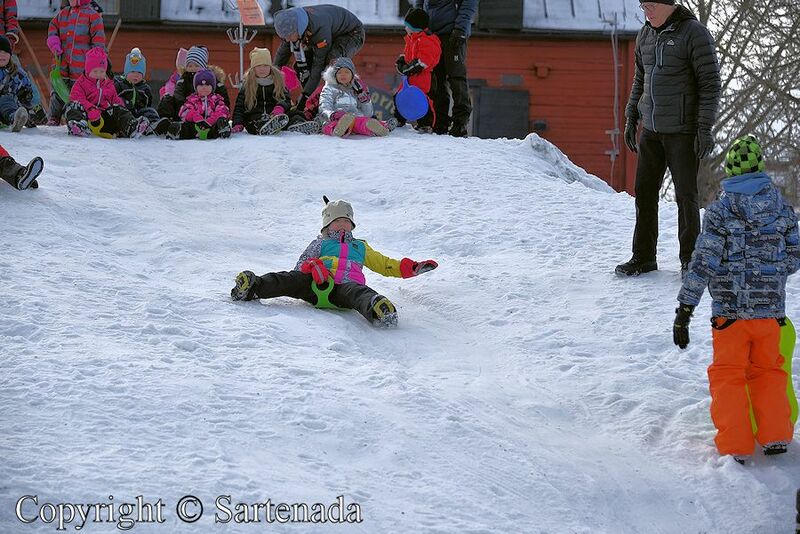 As an Italian , who’s never been in Finland…..UNIQUE! Now You have one reason Yourself to experience our winter. 🙂 Thank You for Your kind comment. Thank You leaving Your kin comment. This does look like a lot of fun! 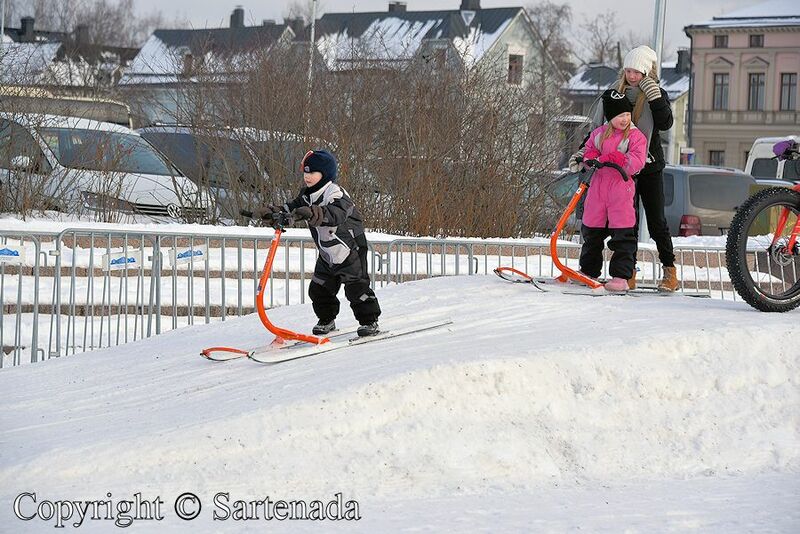 Those ski/ sled looking things look fun! It is every winter. 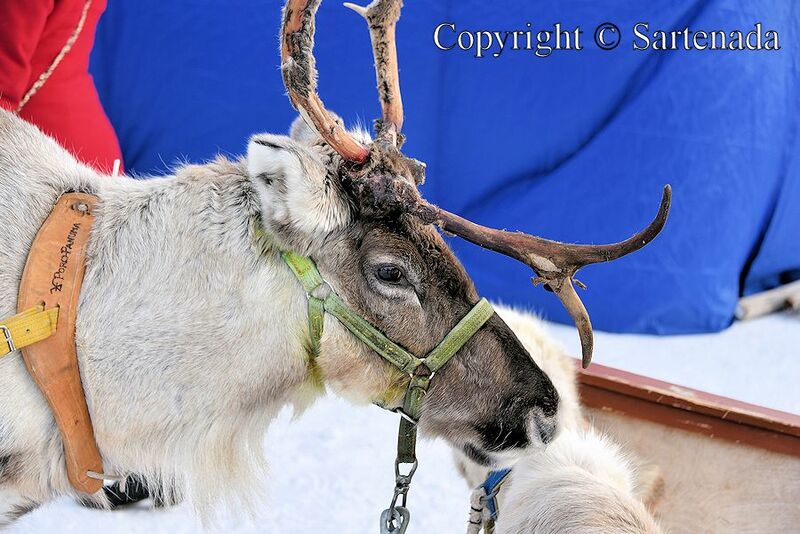 Reindeers are cute animals and kids love them. 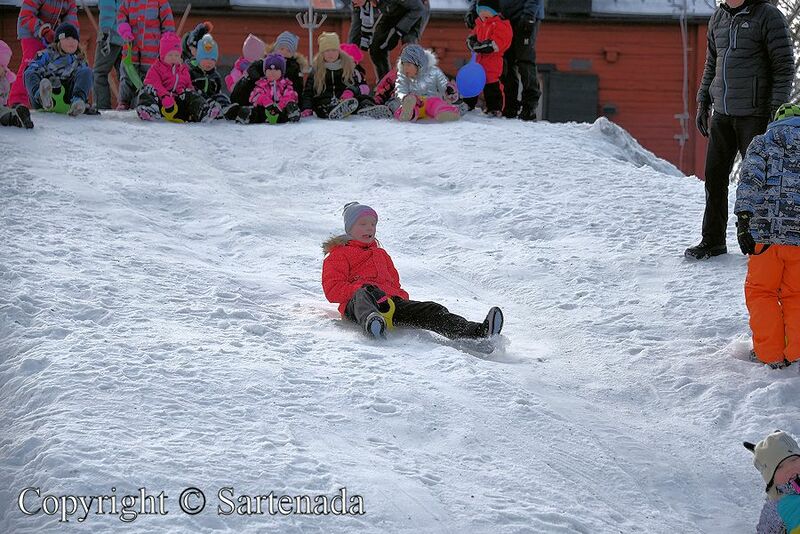 It looks so very cold but so much fun. Thanks for sharing your world. Thank You for Your kind comment. 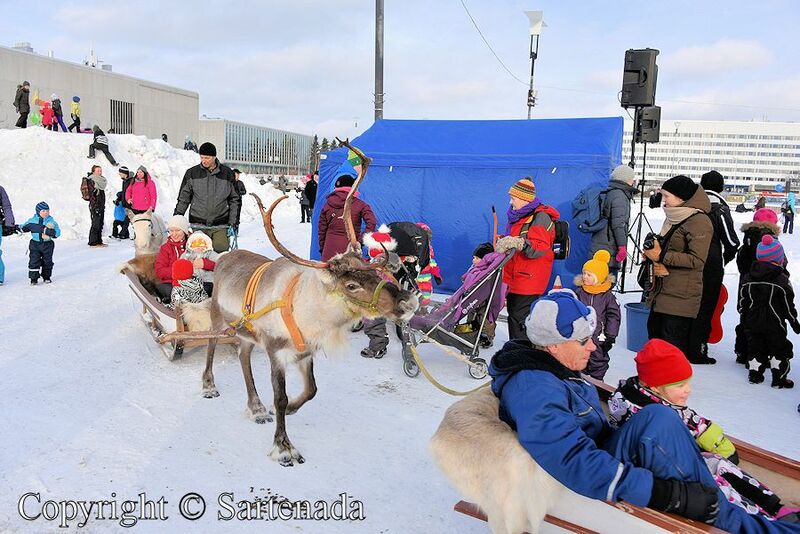 Children love reindeer rides, but for adults there are also reindeer race. This happening is unique in the whole world and open for everybody free.